USAgain is a for-profit company that collects unwanted textiles and resells them in the United States and abroad, effectively diverting millions of items of clothing from landfills, generating new revenue streams for U.S. business and non-profits, and fueling local economies in emerging countries. 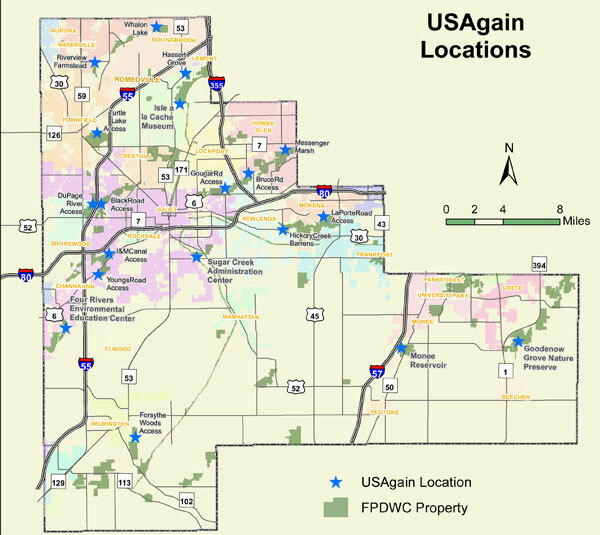 The following items are acceptable for collection at the USAgain dropbox at the Lisle Park District Community Center parking lot: clothes; children’s clothing; accessories, such as hats, handbags, gloves, belts, scarves and backpacks; linens, such as bedding, blankets, towels and drapes. 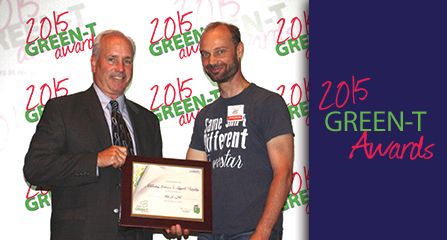 The Lisle Park District is excited to add this new partnership with USAgain to their green initiatives in an effort to become an eco-friendly leader within the greater Lisle Community. 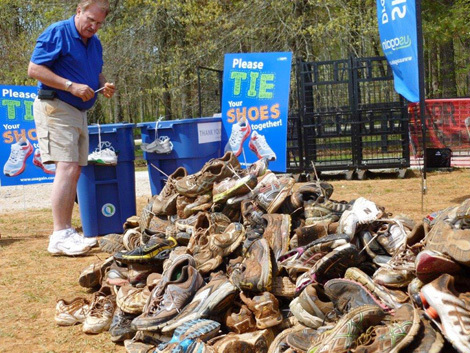 As of July 2014, the Lisle Park District has donated over 500 used athletic shoes, which will be recycled into athletic running tracks and playground surfaces. In addition, the Lisle Park District has partnered with residents to collect crayons that are recycled into new crayons and, also, collects newspapers, magazines, shopping catalogs, office/school papers and mail. Bins are located at the Lisle Community Center (1825 Short Street). Each winter, between November-January, the Lisle Park District encourages residents to recycle their old holiday lights, and every spring, they offer free, secure, on-site paper shredding at Lisle’s Largest Free Paper Shred Event, which will be held on Saturday, April 18, 2015 from 9am-12pm next year. Mark your calendars now! The Lisle Park District provides a variety of leisure activities for people of all ages throughout the year. Park district facilities include Lisle Community Park; the Recreation Center which houses Gentle Learning Preschool, SEASPAR, the Senior Center, and multipurpose rooms; Sea Lion Aquatic Park; River Bend Golf Course; Wheatstack – A Midwestern Eatery & Tap and numerous neighborhood playgrounds and parks offering amenities such as tennis courts, ball fields, walking paths and picnic areas totaling close to 400 acres. It is the mission of the Lisle Park District to enrich the quality of life for people of all ages by providing constructive and creative leisure opportunities. For more information about the Lisle Park District, please call 630-964-3410 or visit LisleParkDistrict.org. USAgain has partnered with the Twin Cities Marathon to collected surplus clothing at the event. The USAgain/Marathon partnership has been going on for several years now, with over 10,000 pounds of clothing collected and recycled to date.